ImageRenderer is an AJAX-Enabled Asp.NET control which allows you to generate real time on-the-fly Dynamic images with extensible features. Effects: Brightness, Contrast, ColorCorrection, Crop, EdgeDetection, Emboss, Flip, Gamma, GaussianBlur, Grayscale, Invert, Jitter, MeanRemoval, Pixellate, Resize, Sharpen, Smooth. 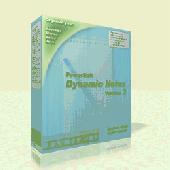 Use ABCpdf to dynamically create Adobe PDF documents from ASP or VB. Add text, images and graphics. Designed for a combination of maximum power and ease of use it goes Direct to PDF for blazing speed. 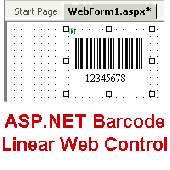 Easily add dynamic server-side barcodes to web applications with the ASP (Active Server Pages) Barcode Server Component for IIS (Internet Information Server for Microsoft). Adobe GoLive Dynamic Link for Asp lets you create complex, dynamically driven Web sites without hand coding, regardless of the back-end environment on a Microsoft Web server. Visually build complex, database-driven Web sites with drag-and-drop ease. Perfect for e-commerce storefronts, online catalogs, personalized content, or any database-driven information. AjaxPDF enables a ground-breaking new way of viewing, navigating, printing, filling and saving PDFs. AjaxPDF is an ASP.NET 2.0 Web Control that presents Portable Document Format (PDF) documents inline within a Web page.